Thinking about buying a home in today's competitive housing market? Don't make one of these mistakes. “Time kills deals,” says Andrew Sandholm of BOND New York Properties in New York. 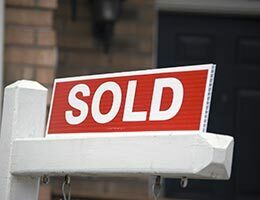 “Dragging your feet means you could wind up paying more in a bidding war situation or missing out on the property altogether.” Buyers need to have all their 'Ducks lined up' before they start looking at homes. They should have already been 'Pre-Approved' by their lender BEFORE going out house-hunting. This way they will be able to act once they find the house they would like to purchase. In today's ultra competitive 'Seller's Market' presenting a 'Lowball' offer often backfires. The Seller knows that in most cases there will be multiple offers, and will feel disrespected and not take the offer seriously. This could mean that you might miss out on the property completely. We have all seen so called reality TV shows that show Buyers making offers that are 'quick close no contingency' offers. Again resit the urge to make these type of deals. This is probably the largest purchase you will ever make. Tighten the days up for your due diligence even if it is new construction get the house fully inspected (including tests for Radon and Meth). If you waive the inspection contingency in your offer, you may lose the earnest money if you later back out of the deal. Find ways to separate your offer from the competition. In today's read hot real estate market, the Seller and their Listing Agent are looking for ways to find out which Buyer will be the easiest to deal with and which offer is most likely to close on time and with minimal drama. Serious Buyers may want to avoid pointing out every supposed defect or deficiency. When negotiating with the Sellers remain positive. Buyers that seem less than enthusiastic or put out and discouraged will see themselves at a competitive disadvantage when comparing multiple offers. If you are considering Buying your home in the Salt Lake Metro area. Give Me a call. Lets talk about how we can find you, your 'Dream Home'.